Established in 1996 Egans provides specialised commercial removals and storage services to business across Australia. 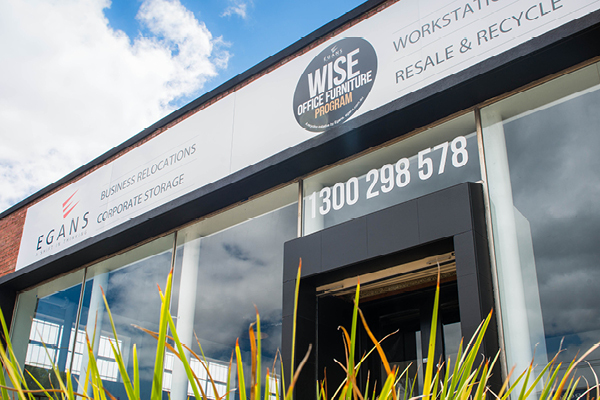 Incorporating our Wise Office Furniture program Egans provides best practice outcomes for the resale and disposal of commercial grade workstations and office furniture. Egans now operate on a national basis providing our full suite of services to corporate and government organisations. Guided by our motto “a shift in thinking” Egans have developed industry best practice solutions in all areas of our business. A focus on tailored solutions allows us to develop long-term relationships with our clients, assisting with day-to-day needs as well as planning and executing some of the largest projects in the industry.